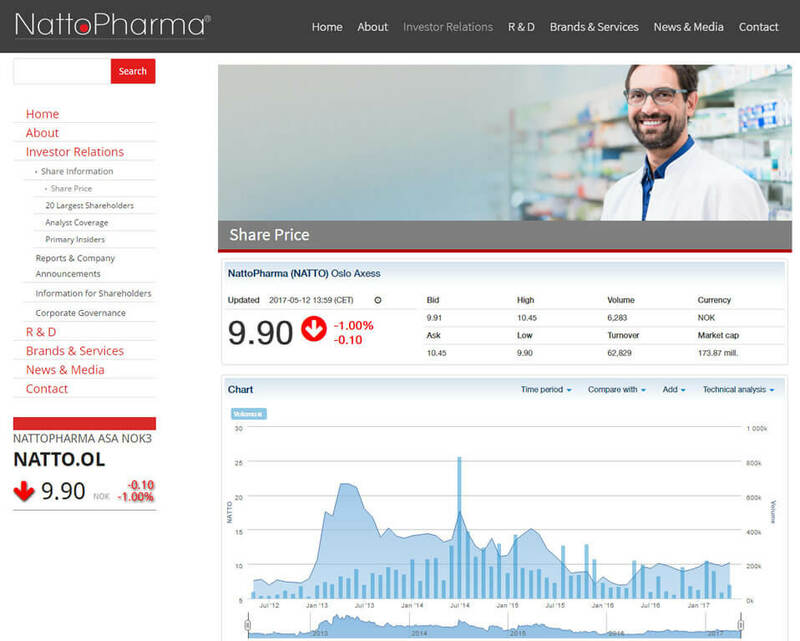 Market3 is excited to announce the website launch of NattoPharma, located in Oslo, Norway. As a biotechnology-based nutraceutical company, NattoPharma is a worldwide innovator and leader in the long-term protection of bone and cardiovascular health through Vitamin K2 menaquinone-7. A company of its standard needed a website that matched their innovative and advanced needs. NattoPharma is committed to delivering the highest quality of products and their new Custom WordPress website reflects that. As a national competitor in the pharmaceutical industry, NattoPharma needed a website that was customized to their company needs and values. 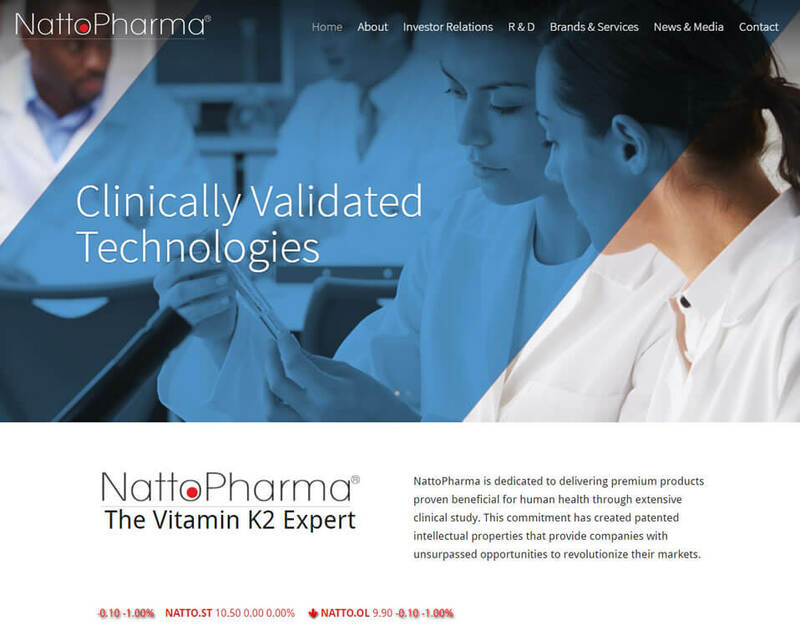 Customer satisfaction is important to NattoPharma, therefore, Market3 redesigned their website for a better user experience for current and potential investors, consumers and new product development announcements. Other features on NattoPharma’s new website include a video resource library, HTML5, and a jQuery (non-flash) slideshow compatible with iPads, iPhones, smartphones, and tablets. NattoPharma’s WordPress website is built on WordPress, equip with CMS (content managed system) giving the client the ability to manage their own site. This eliminates the need for risky proprietary software. NattoPharma is able to upload content, videos, and photos. Market3 created an extensive investor portal with improved graphical contents and interactive features for current and potential investors. 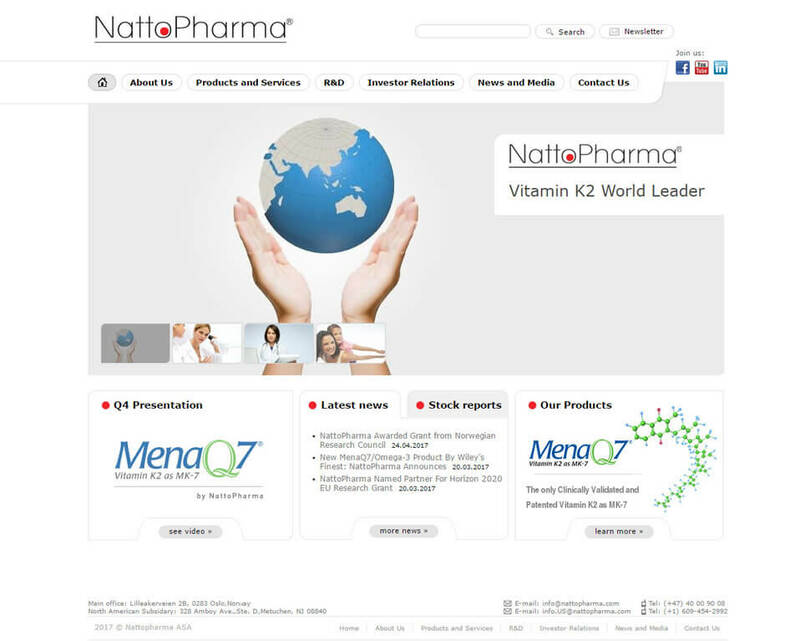 It includes real-time market share updates to allow NattoPharma to stay ahead of its worldwide competitors. Our New Jersey Web Design team understands the need for a cohesive social media and website presence. Market3 integrated NattoPharma’s social media to its custom WordPress website to increase the users’ experience.